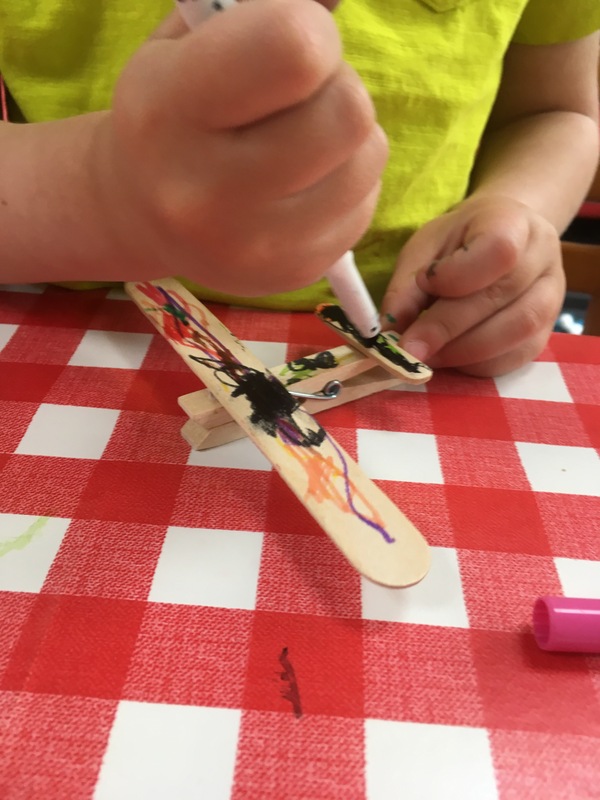 Ever since his first trip on an aeroplane, Bobcat has been obsessed with all things planes. So we decided to make the most of his new fascination! I started off by reading the story of Jesus ascending into the clouds (as I like to add in some faith based content if I can and it fitted in with ascension day). 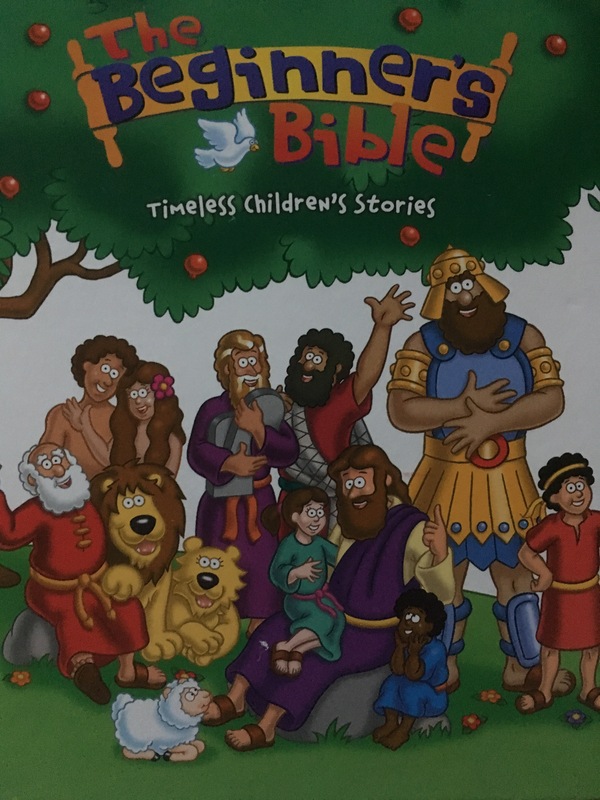 We read the story from our beginners bible – it’s not one we read that much but it covers more stories than most. 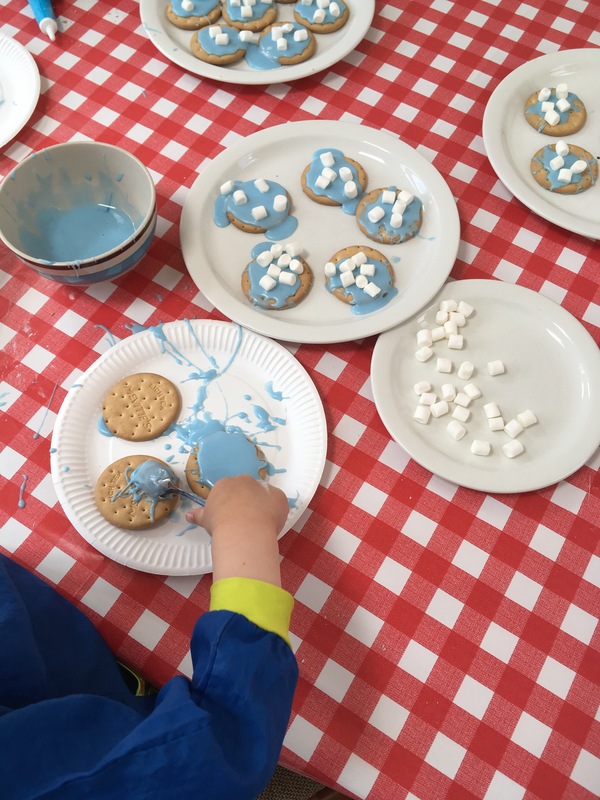 Then we made cloud biscuits with rich teas, blue icing and white marshmallows. Little monkey mainly just ate the marshmallows! 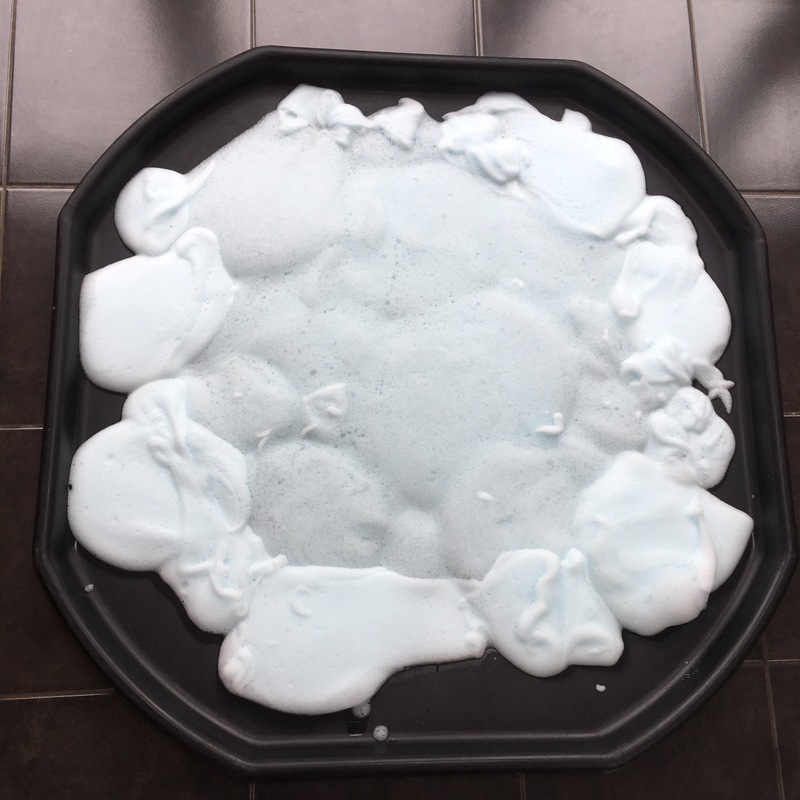 For our tuff tray activity I made ‘clouds’ using the rainbow soap foam recipe on Fun at home with kids. However, I have found in the past that using colouring doesn’t override the colour of the washing up liquid so I just bought blue washing up liquid! 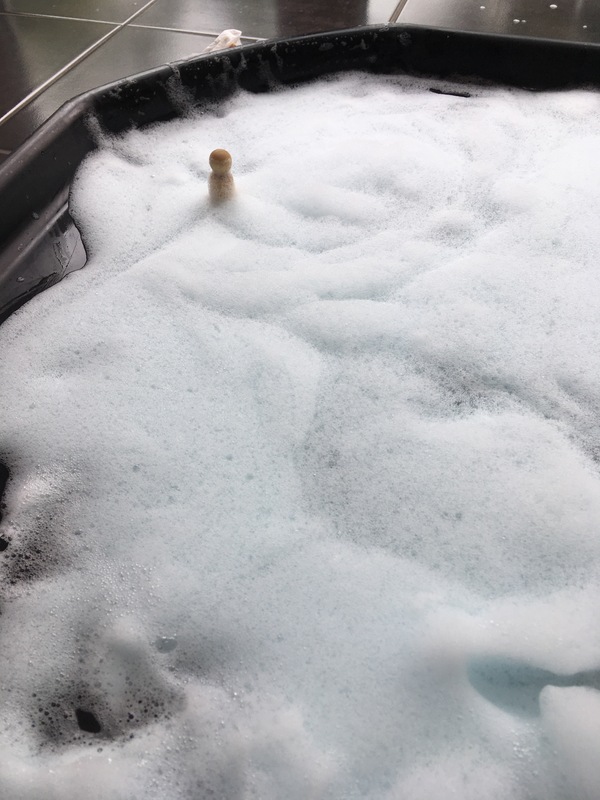 And I probably used a much higher proportion of washing up liquid to water as I was worried it would be too watery. 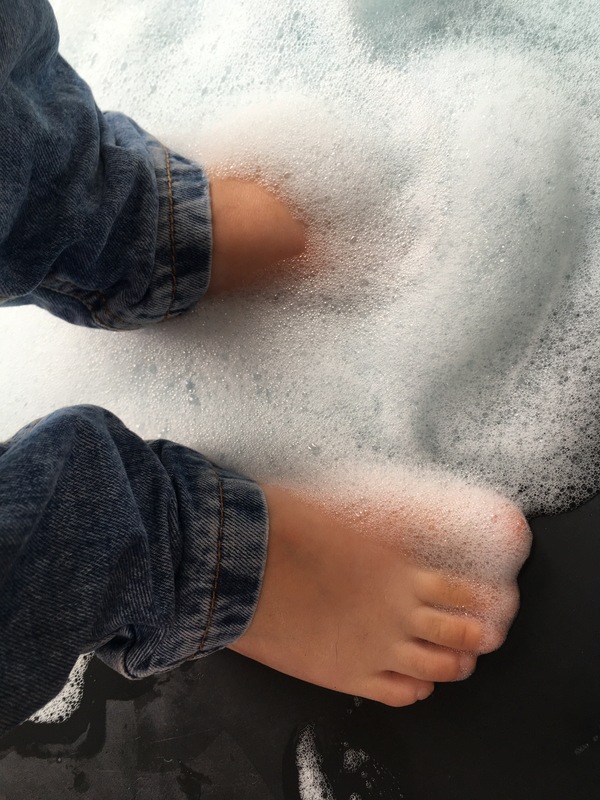 It didn’t take long for our feet to end up in the foam, and I found a comb and a sponge which provided some entertainment for a while too. 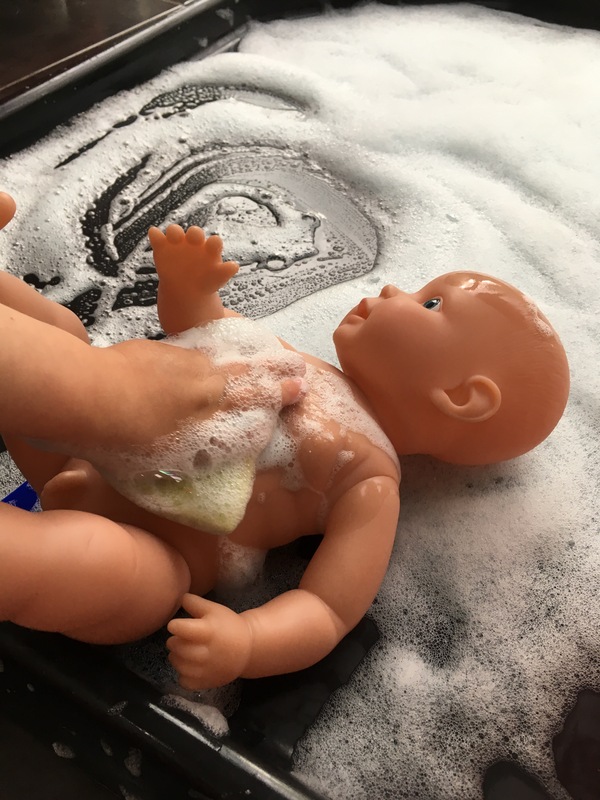 Then we bought in Little Monkeys favourite toy and had bath time with baby, adding sponges and a bowl of water to help get baby clean. 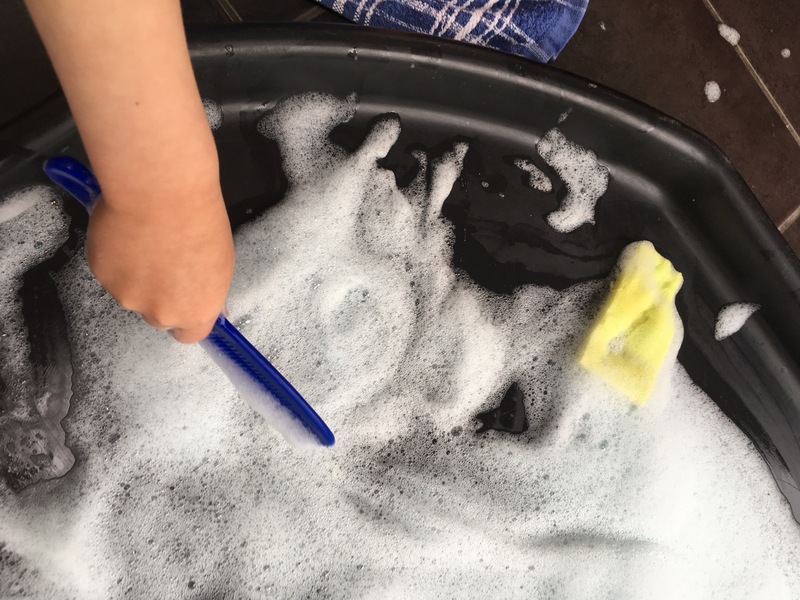 From clouds to soapy baby bath the soap foam was a fun activity that lasted most of the afternoon, making it worth the ridiculous amount of whisking you need to do to make them in the first place! 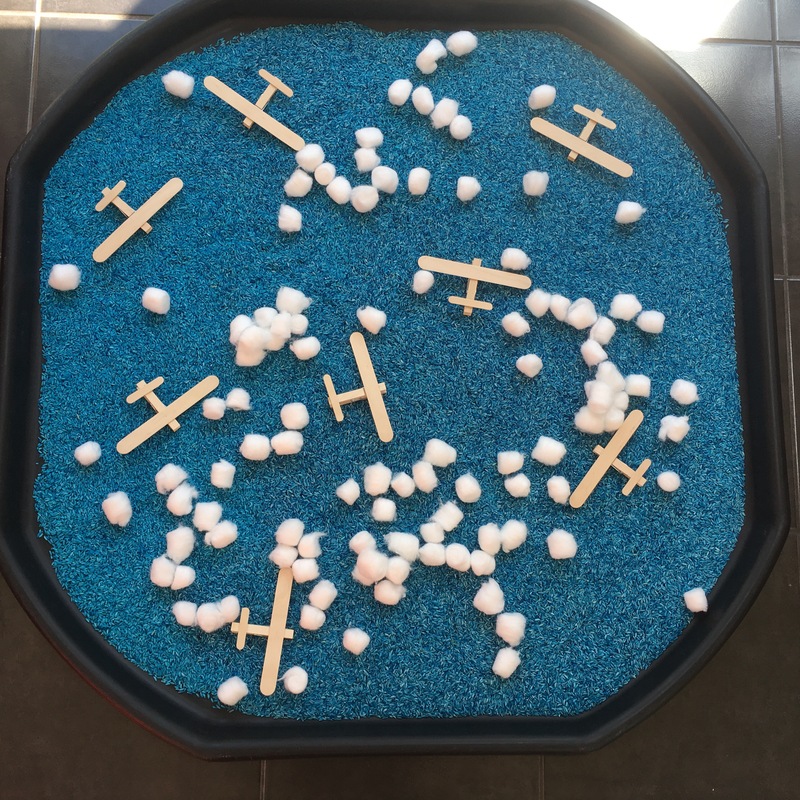 The next week we continued the sky theme by adding in planes. 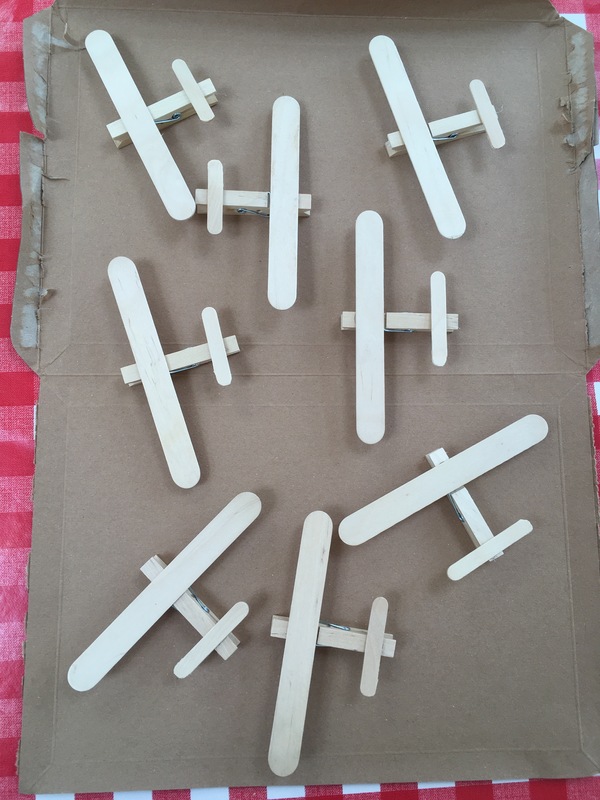 I made some planes out of wooden pegs and lolly sticks (this was a great chance to try out my new glue gun). Bobcat has really enjoyed playing with dry ingredients like rice recently so I thought this would be a hit and it was. 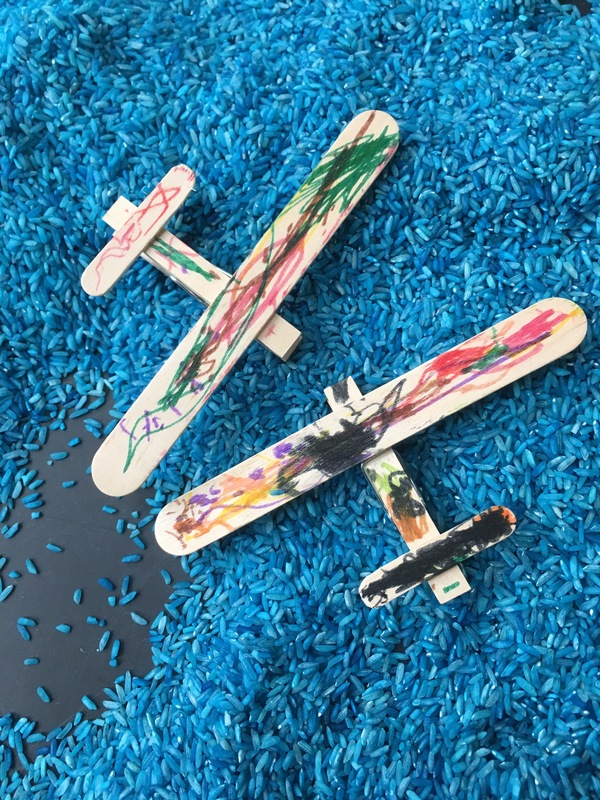 We played with the planes in the rice for a while – burying them in the rice was popular as well as flying them. 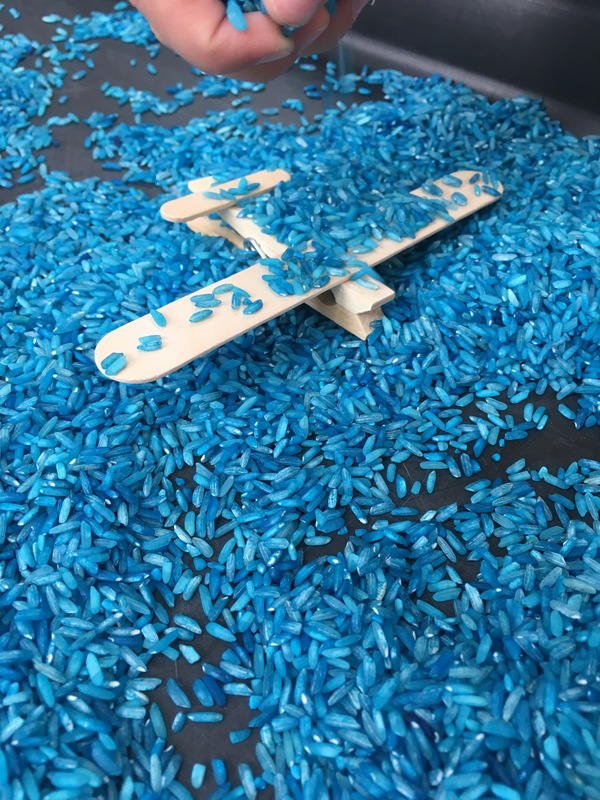 … before returning them to the rice to play some more! 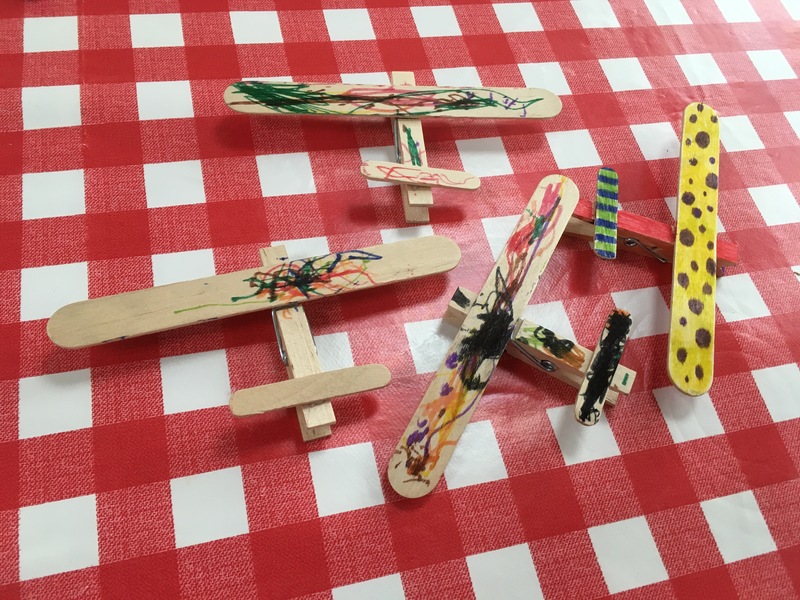 I’m pleased to say the wooden planes have mostly lasted (though I think the rear wings needed more glue as they didn’t last long) and we’ve enjoyed many viewings of Pixars ‘planes’ recently.